Busisiwe Khanyile is a young girl who was born in Soshanguve and is passionate about her studies, career and giving back. This young lady who is an actress, entrepreneur and student recently turned twenty-one and when her mother asked what she wanted to have, she said she wanted to have a dinner. She is blessed enough to have a mother who took it to the next level and she managed to invite family and a few close friends to share this beautiful day. Busisiwe decided that seeing as her guests will be treated to a three course meal, they will not have enough space to eat the cake so that sparked the idea of sharing her cake at an orphanage in Soshanguve. 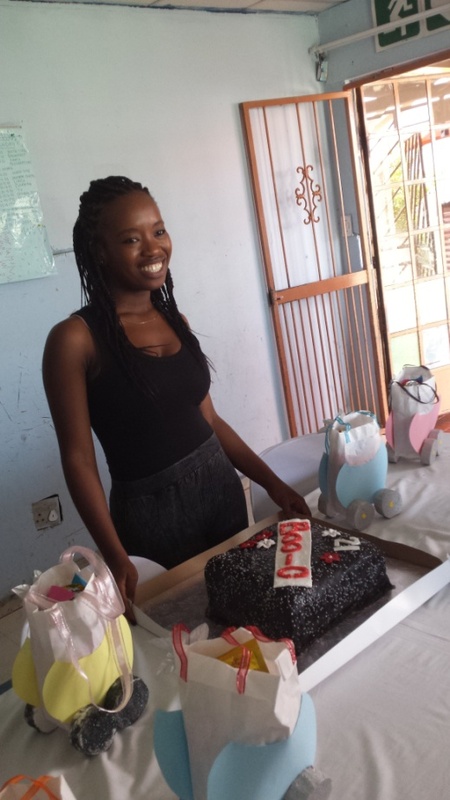 Busisiwe invited two of her friends on the 31st of March (two days after her birthday), Pfarelo Dau and Mosa Modiri to pay a visit to a wonderful bunch of children at the Luvuyo Orphanage Home in Soshanguve. They all thoroughly enjoyed this experience although Busisiwe described it as, “It was a great experience, if I ever reached what I define as success, I definitely wouldn’t do it again. I’d rather take kids to school; in that way, I’m giving them something no one can take away from them. I will do that.” The three ladies all agreed after seeing a wonderful performance by the children who did a gumboot dance piece for them, that they are extremely talented and that they deserve bigger platforms where people can also come and watch them perform. This entry was posted on Monday, May 12th, 2014 at 7:55 am	and is filed under Uncategorized. You can follow any responses to this entry through the RSS 2.0 feed. You can leave a response, or trackback from your own site.